Local Women Local Enterprise is a North East based charity which offers training courses, enterprise experiences and advice and support – uniquely delivered in the local community to achieve real, sustainable progression for women. LWLE engages women in community-based enterprise support to drive sustainable social change. The Charity’s purpose is to remove the barriers to financial independence that are being experienced by many women in Newcastle, by providing a safe environment to build skills, gain experience and confidence. Local Women Local Enterprise is a community of local women, all on their own journey. Through LWLE programmes – and with the support of local partners – women can access the support they need to start their own journey with confidence; make choices about what to do next, and gain the skills, advice and experience they need to reach their goals. 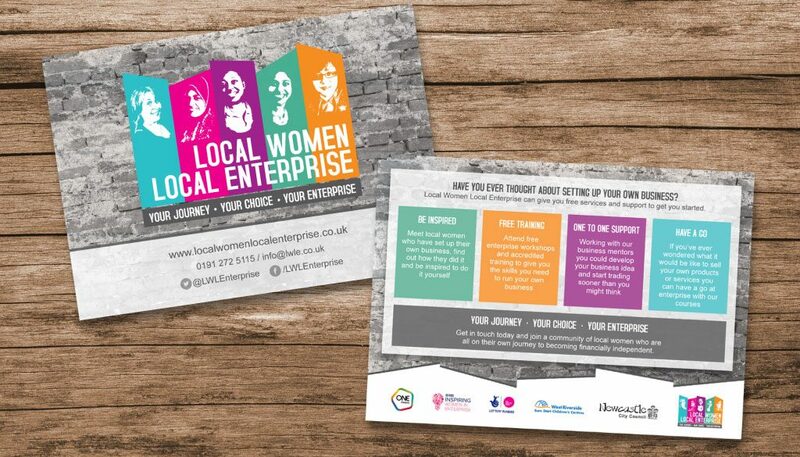 We worked with Local Women Local Enterprise on their branding, literature and stationery. We also provided the website design, which was then developed by Arttia Creative.